A fairly light read, with a few stories that were quite touching. I enjoyed this book. I read Lesslie's first book about his work in the ER and was thrilled to find this sequel in stores. Lesslie takes his experiences in the ER and breaks them down into chapters with an ultimate message and pieces of scripture to open and close each, but it's not a 'preachy' book at all as the messages are universal. The book hits emotional highs and lows, laughs and tears, and sadly ends too quickly. That's the only downside of the book, that I wanted more, but I can certainly hope for a third installment.While not stated as in other medical books I read, I suspect names were changed in Lesslie's tales, because one chapter involves his treating of a patient who murdered 2 well-loved members of the community and is ultimately executed for the crimes. Lesslie adequately describes the persona of this man, but I tried a search to see if the image he painted in my mind matched the real thing, but I couldn't find any news articles with the names given. Also, the chapters are structured by message instead of chronology. He opens the book with his college-age son shadowing him for a day in the ER and it was not difficult to picture the whole book happening at this stage of Lesslie's life, though he does use flashback for stories that are obviously from his earlier days in practice.All in all, a wonderful book, and as I said, I look forward to a 3rd installment. An ER doctor describes his experiences in the emergency room. This one is often funny but also tragic. I am always interested in a peek into the medical profession. These types of books I enjoy; easy to read, interesting stories. 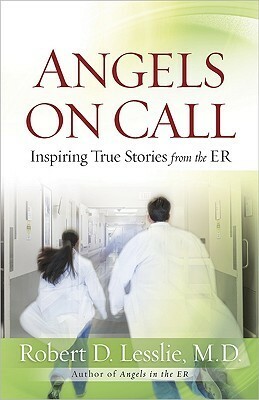 As a student in nursing, I absolutely loved this collection of ER stories. They all touched a special place in my heart. I enjoyed this book simply because of my own experience working in the ER. I expected it to be more uplifting than it was -- some stories were simply tragic, which is reality, of course. Same as first book. As an ER nurse I can relate on all levels. Well written and interesting, although I have no clue how Dr. Lesslie kept track of dates and times so well. Good read fast reading great quotes.